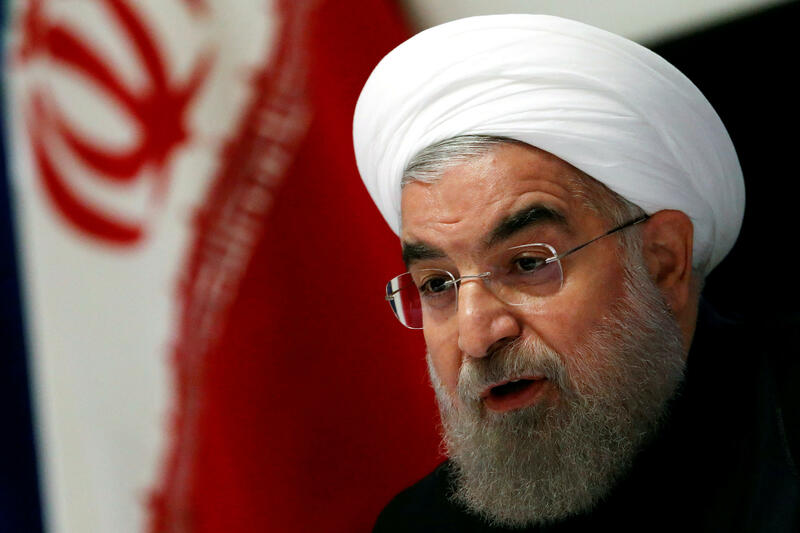 TEHRAN, Iran -- Iran’s President Hassan Rouhani demanded Sunday that U.S. President Barack Obama not sign an extension of U.S. sanctions, saying the bill is a violation of a landmark nuclear deal between Iran and world powers. Rouhani promised a “prompt response” from Iran if the U.S. sanctions are extended. “We are committed to an acceptable implementation of the deal but in response to non-commitment, violation or hesitation in its implementation, we will act promptly,” he said. The U.S. Senate voted to extend the Iran Sanctions Act by 10 years unanimously, 99-0, on Thursday, two weeks after the House also approved the legislation by an overwhelming margin of 419-1. The nuclear agreement between Iran and six world powers lifted a variety of international sanctions in exchange for limitations on the Iranian nuclear program. However the U.S. still maintains its own separate set of sanctions, which will expire on Dec. 31 if Obama does not sign the extension into law. Speaking in an open session of Iran’s parliament Sunday, Rouhani said Obama is “obliged” to let the sanctions expire. Lawmakers said the decades-old sanctions law gives the United States the clout to punish Iran should it fail to live up to the terms of the nuclear deal. President Obama is expected to sign it. Although the White House has said the bill is still being reviewed, Obama administration officials said they’ve determined it doesn’t breach the international accord meant to slow Iran’s ability to make nuclear arms. That satisfies a key condition President Obama had established for his approval. The officials weren’t authorized to comment publicly and spoke on condition of anonymity. “We’ll let you know what the president decides to do with it,” White House spokesman Josh Earnest said Thursday.